She testifies that the money manager accused of fraud told her she had made a big profit, then closed a hedge fund and delayed repaying her $300,000. NEW YORK — An investor who put $300,000 into one of Martin Shkreli’s health care industry hedge funds testified Thursday that he reported eye-popping returns before abruptly shutting down the fund and ducking her demands to get her money back. Prosecutors say the account shows Sarah Hassan was a victim of a scam orchestrated by the former pharmaceutical CEO and social media provocateur, even though Hassan ultimately recouped the money in a settlement that included a stock windfall. 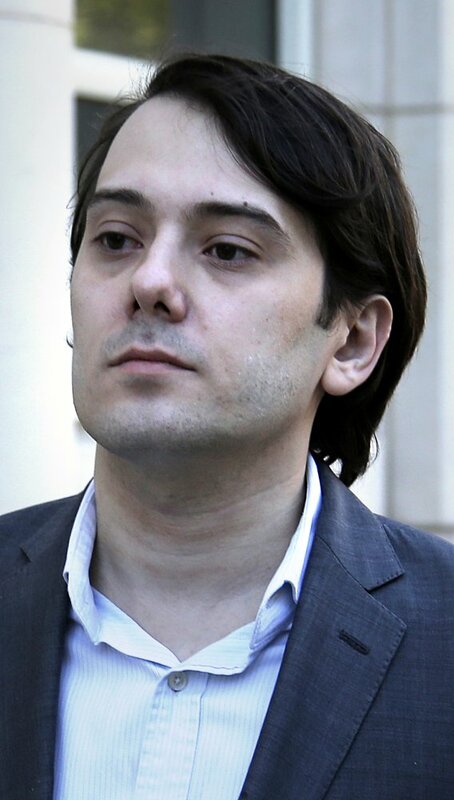 Shkreli, 34, became a pariah in 2015 after a drug company he founded, Turing Pharmaceuticals, spent $55 million for the U.S. rights to sell a lifesaving medicine called Daraprim and promptly raised the price from $13.50 to $750 per pill. The spotlight intensified later that year with his arrest on charges – unrelated to Daraprim – focusing on a pair of failed hedge funds he started by luring in wealthy investors with lies about the worth of his portfolio. After he lost investors’ money through bad trades, he secretly looted Retrophin, another biotech company where he was CEO, for $10 million to pay back his disgruntled clients, prosecutors said. Hassan, daughter of former Bausch & Lomb chairman Fred Hassan, told jurors she agreed to have dinner with Skhreli after a friend of her father’s told her he was “a rising star in the hedge fund world.” Hassan noted that Shkreli claimed to be managing $40 million. She said she was “thrilled” when he reported in a September 2012 email that she had made a profit of nearly $135,000. Despite never receiving formal account statements, “I trusted him and I trusted the numbers,” she said. In another email to all investors, Shkreli announced that he was using all the assets in the fund to launch Retrophin. When Hassan tried to get her investment back, he stalled for months before she finally agreed to a settlement for $400,000 cash and stock shares she sold for $900,000 once the company went public, she said. On cross-examination, defense attorney Benjamin Brafman pressed Hassan on how his client had harmed her, aside from being a pain to deal with. “I know it was frustrating – trust me, I’ve dealt with him – but at the end of the day, you had a successful agreement in which you more than tripled your money, correct?” Brafman said. She agreed. But she also said that until the settlement, she had to live with the fear that she had lost her money.